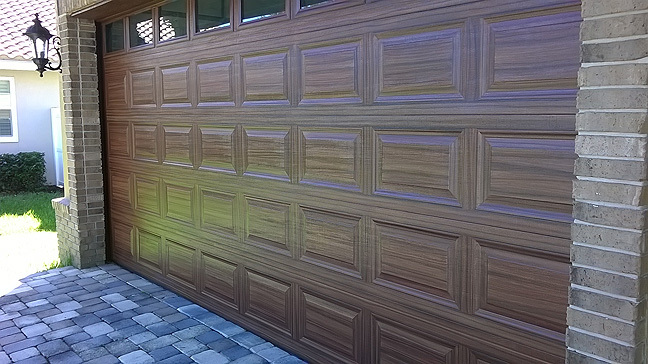 I completed another garage door painting project this month in Tampa. 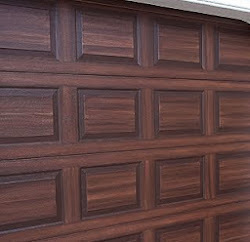 I painted this metal garage door and metal front door to look like wood. The matching doors came out great and the client was very pleased. This door was painted to look like a rich mahogany wood. For the specific written instructions on how I go about this click on the garage door tutorial tab in the header of this blog. A few of the intermediate steps below. I forgot to take a picture of the front door when it was finished but here is one in progress.